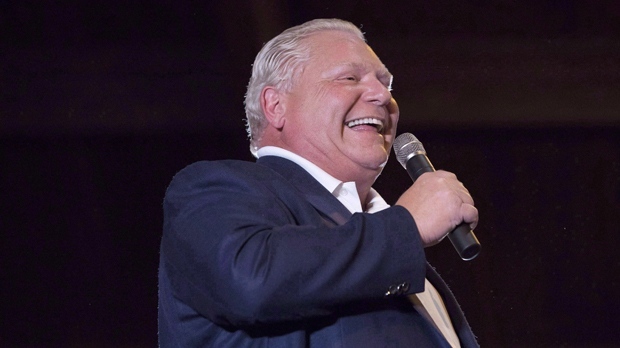 TORONTO -- Ontario will cap minimum wage at $14 an hour until fall 2020 as part of a rollback of labour reforms introduced by the previous Liberal regime, the Progressive Conservative government announced Tuesday, drawing praise from businesses and criticism from unions and anti-poverty advocates. The government said new rules - which will link future minimum-wage increases to the inflation rate and reduce the number of personal leave days - will help cut red tape and encourage business investment. Labour Minister Laurie Scott said the government will be using an “economically sound metric” to decide the rate of future increases. “Ontario workers and businesses deserve a minimum wage determined by economics not politics,” she said. The government's labour bill, if passed, will also cut two paid personal leave days for workers, bringing their total to eight - three for personal illness, two for bereavement leave and three for family responsibilities. “We will reverse the needless scheduling restrictions and give back employers the flexibility to have the right staff at the right time,” Scott said. The government's moves on the labour file were applauded by some in the business community who had argued against the minimum wage increase and labour reforms when they were brought in last year. “This legislation will go a long way to maintaining the viability of small and medium businesses in the province and will help us save jobs,” she said. Others, however, said the government was undoing measures that had made life easier for families and vowed to push back. Pam Frache, of the advocacy group Fight for $15 and Fairness, said by rolling back Liberal labour reforms, Ford was breaking a campaign pledge to stick up for regular Ontario residents. “What Mr. Ford has announced today is not a government that is for the people but a government for the corporate elite,” she said. NDP Leader Andrea Horwath said she was skeptical about whether the Ford government will actually follow through the pledge to increase the minimum wage in 2020.